Our guide to San Francisco will help you find the best green spots in San Francisco California. San Francisco makes it wonderfully easy to tap into the Good Life. Between the hot arts scene, the tempting boutiques, the awesome bay views, and all those stellar, locally focused restaurants and wine bars, it's the perfect place to indulge yourself. There are tons of great green spots in the city of San Francisco, our city guide will help you find the best green spots. You may have a hard time deciding what to do in San Francisco, but we make your decision easy. 1099 Tennessee St, (415) 920-6843 - Massimo's Organic Gourmet is a green restaurant located in San Francisco CA. 1365 Stockton St, (415) 362-2199 - Loving Hut is a green restaurant located in San Francisco CA. 1653 Market St, (415) 552-2522 - Zuni Cafe is a green restaurant located in San Francisco CA. 200 6th Ave, (408) 294-2694 - Karma To Go is a green restaurant located in San Francisco CA. 2154 Mission St, (415) 864-1888 - Minako Organic Japanese Restaurant is a green restaurant located in San Francisco CA. 300 Grove St, (415) 861-5555 - Jardiniere is a green restaurant located in San Francisco CA. 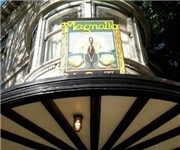 398 Hayes St, (415) 551-1590 - Absinthe Brassiere & Bar is a green restaurant located in San Francisco CA. 475 Sansome St, (415) 433-6498 - Mixt Greens is a green restaurant located in San Francisco CA. 525 Market St, (415) 278-0461 - Chipotle Mexican Grill is a green restaurant located in San Francisco CA. 531 Divisadero St, (415) 885-7133 - Herbivore the Earthly Grill is a green restaurant located in San Francisco CA. 555 Golden Gate Ave, (415) 409-0679 - Stars Bar and Dining is a green restaurant located in San Francisco CA. 598 4th St, (707) 297-6224 - Bizou is a green restaurant located in San Francisco CA. 703 Columbus Ave, (415) 786-1285 - Juicey Lucy's is a green restaurant located in San Francisco CA. 983 California 1, (415) 561-3042 - Warming Hut Cafe is a green restaurant located in San Francisco CA. 983 Valencia St, (415) 826-5657 - The welcoming, seat-yourself style is present at both the Valencia and Divisadero locations, with tables on the street and breezy back patios. 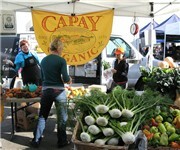 1 Ferry Bldg, (415) 391-2223 - Capay Organic is a green food / grocery store located in San Francisco CA. 1023 Stanyan St, (415) 564-2800 - Fresh Organics is a green food / grocery store located in San Francisco CA. 1745 Folsom St, (415) 863-0620 - Rainbow Grocery Coop is a green food / grocery store located in San Francisco CA. 2050 Galvez Ave, (925) 209-0958 - Albert & Eve Organics Co is a green food / grocery store located in San Francisco CA. 3930 Judah St, (415) 661-7475 - Other Avenues Community Food Store is a green food / grocery store located in San Francisco CA. 405 Victory Ave, (650) 246-1560 - Planet Organics is a green food / grocery store located in San Francisco CA. 5843 Geary Blvd, (415) 387-6367 - Fresh Organics is a green food / grocery store located in San Francisco CA. 598 Castro St, (415) 626-7038 - Buffalo Whole Food & Grain Co is a green food / grocery store located in San Francisco CA. Po Box 460411, (415) 695-9688 - Organic Xpress is a green food / grocery store located in San Francisco CA. 2106 Chestnut St, (415) 202-0112 - The Body Shop is a green cosmetic / beauty store located in San Francisco CA. 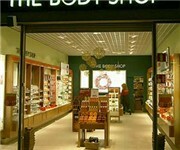 506 Castro St, (415) 431-8860 - The Body Shop is a green cosmetic / beauty store located in San Francisco CA. 300 Bay Shore Blvd, (415) 647-1806 - Bayshore Farmers Market is a green farmers market located in San Francisco CA. 550 Divisadero St, (415) 863-0887 - Divisadero Farmer's Market is a green farmers market located in San Francisco CA. 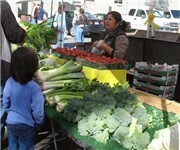 840 Irving St, (415) 665-1154 - Park's Farmers Market 2 is a green farmers market located in San Francisco CA. Fulton St & Leavenworth St, (415) 558-9455 - Heart of the City Farmers Market is located at the Civic Center/UN Plaza by city hall. the Embarcadero & Sacramento St, (415) 353-5650 - The Ferry Plaza Farmers Market is located three days a week in front of the ferry building. 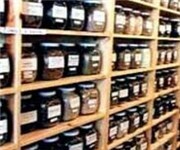 1173 Valencia St, (415) 821-0997 - Scarlet Sage Herb Co is a green wholesaler located in San Francisco CA. There are plenty more green spots in San Francisco. See all green spots in San Francisco California.